If you are wondering “Which reading would be the best place to start?” THIS IS IT! Why? Because it is the most comprehensive and will give you the MOST INSIGHT about where you are right now in your life AND how to MOVE FORWARD. THIS is the reading for you. ALL the issues in your life have a corresponding energy center that can give you valuable information about WHY the issue is there and WHAT to do to heal it. 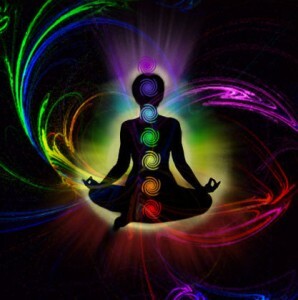 Your 7 Energy Centers, called Chakras, can give you detailed information about the cause of the problems you are currently experiencing and show you how to move forward in a powerful way. I will “read” your 7 chakras and give you amazing insight into the 7 major areas of your life. 1. Root Chakra– Your Health, Energy and overall physical well-being. This is the “seat” of your physical body. 2. 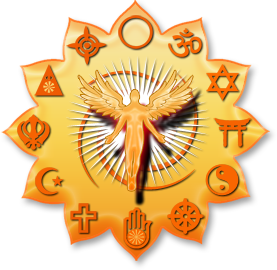 Sacral Chakra – Your Relationships, Emotions and Creativity. This is the “seat” of your emotional body. 3. Solar Plexus – Self-Esteem, Relationship to Self, Career issues. This is the “seat”of your mental body. 4. Heart Chakra – Ability to give and receive love, your deepest heart’s desire. This is where your life purpose resides. 5. Throat Chakra – Ability to express yourself, especially creatively. This is where we discover the best medium of expression for you. 6. Third Eye – Intuition, Insight and having a Vision for your life. This is where your ability to receive spiritual guidance resides. 7. Crown Chakra – Your Connection to the Universe/Spirit/God. This is where asses the health of your spiritual life. Each one of these centers also corresponds to a part of the body, which is why it’s so helpful to access these energy centers when dealing with illness. We all respond to stress differently, but we each have our own way of dealing, or not dealing, with stress. How you respond to stress can become habitual and this is revealed in your energy centers. For example, you may respond to someone hurting your feelings by “closing” your heart chakra, so you feel less vulnerable. Or, if you don’t feel comfortable receiving attention, you may “close” your Solar Plexus so your light doesn’t shine so brightly. The problem with these patterns is that that make your energy field weaker in the face of stress, not stronger. Also, when these centers are “offline” so to speak, you no longer have access to the feedback they are giving you to help you deal with the stress. 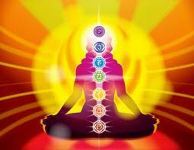 We will address all these things in your 7 Chakra Reading! Your session will be recorded and you will receive the mp3 recording. 2) When you complete payment you will taken to my online scheduler to choose an available time that works for you. Please allow 90 minutes for your reading, although it may take less time than that. If you have ANY problems scheduling your reading, contact me immediately. 3) Call me at the number you received on the day of the appointment. If you have any questions, write them down ahead of time and have them handy, as it’s easy to forget them once we’re “live” on the call. That’s it! The information you will receive is priceless and will help you understand how to work with yourself so you can overcome any obstacles you may face.